UPDATED: Thu., March 8, 2018, 5:54 p.m.
Franks’ development was no doubt a boon for the Cougars, but it also created a scenario that WSU fans probably hadn’t contemplated before the 2017-18 season began. 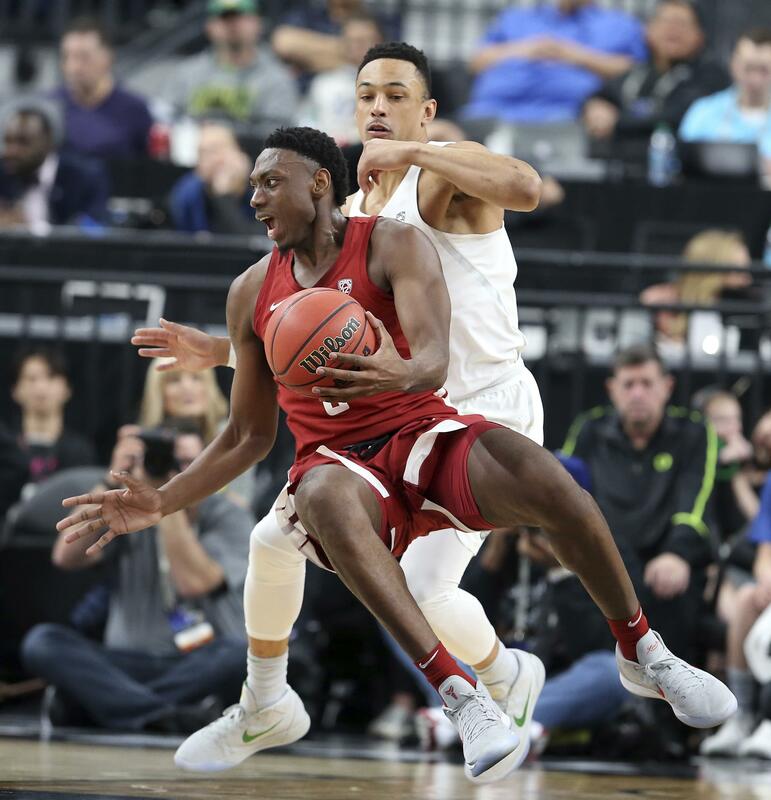 The junior forward must now decide if he wants to return for a senior season in Pullman or pursue a career in professional basketball. That’s a decision Franks hadn’t made as of Wednesday night and one he expects will come later this month. Franks, a 6-foot-7 forward with good shooting range and a strong post-up game, is an interesting pro prospect, but by no means a guaranteed NBA Draft pick if he should decide to leave. Nbadraft.net had listed him as a potential second-round Draft choice and in February, the website ranked him as the 40th-best pro prospect. The NBA allows underclassmen to declare for the draft, partake in the draft combine and receive professional evaluations. Players are then able to withdraw from the draft as long as they do so within 10 days after the conclusion of the combine. Franks averaged 17.4 points per game as a junior – seventh in the Pac-12 – and shot 40.5 percent from the three-point line. He was the Cougars’ second-leading rebounder with 6.7 boards per game and converted 85 percent of his free throws. It comes after a sophomore season that saw Franks score 6.3 ppg, shoot 31.1 percenf from beyond the arc, grab 3.3 rpg and shoot 73 percent from the foul line. Published: March 8, 2018, 5:45 p.m. Updated: March 8, 2018, 5:54 p.m.